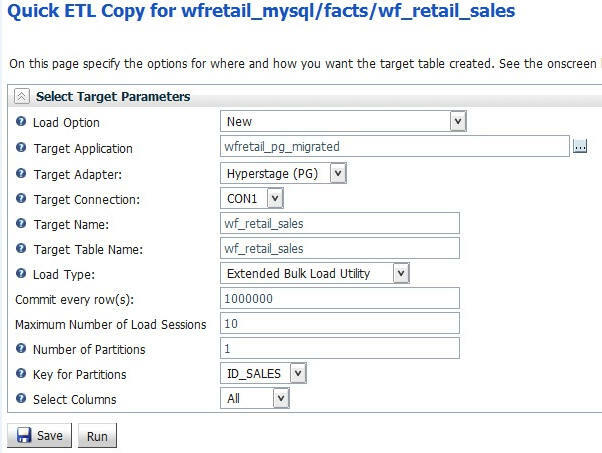 Quick ETL Copy using the MySQL ODBC driver allows for migration of individual Hyperstage MySQL tables to Hyperstage for PostgreSQL. 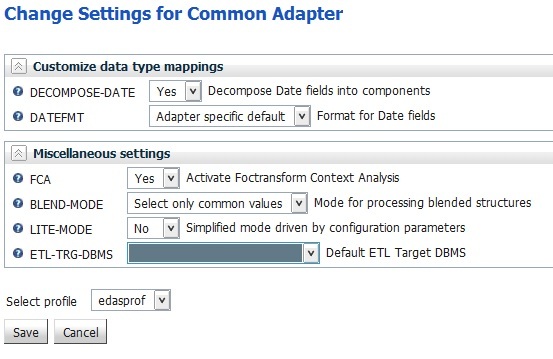 Once you have installed and configured the ODBC Driver on your machine, you will access the Reporting Server Web Console to configure the adapter connection and run the Quick ETL Copy. Note: You must access the Hyperstage version of the Reporting Server Web Console to complete these steps. 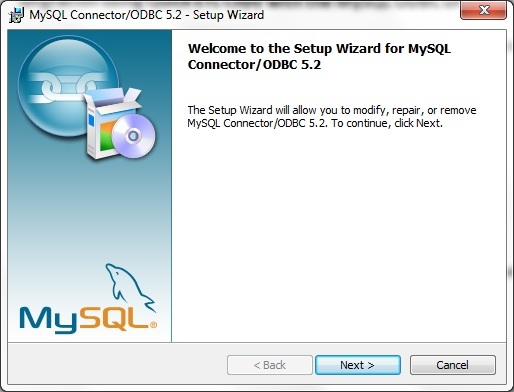 Scroll to Windows (x86, 64-bit), MSI Installer and click Download to download the installation file for the MySQL ODBC Driver. The mysql-connector-odbc-5.2.7-winx64.msi file will be downloaded. 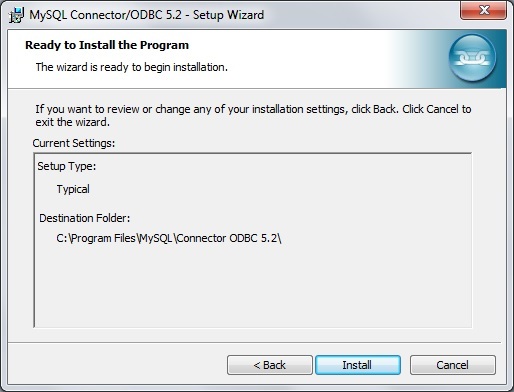 Double-click mysql-connector-odbc-5.2.7-winx64.msi to start the Driver installation. Click Next, as shown in the following image. 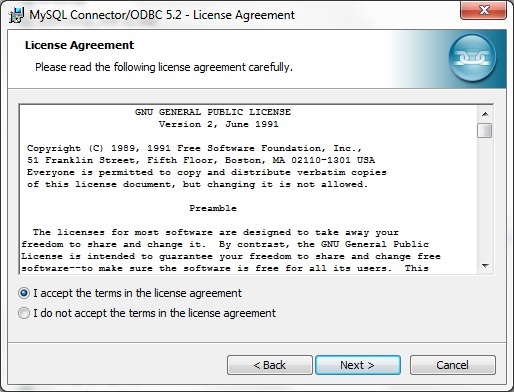 Select I accept the terms in the license agreement, and click Next, as shown in the following image. Select Typical, and click Next, as shown in the following image. Click Install, as shown in the following image. 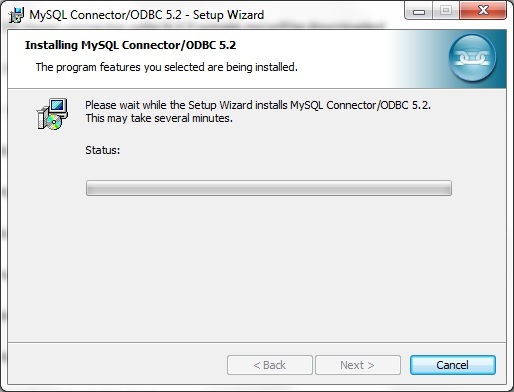 The MySQL ODBC Driver will start installing, as shown in the following image. Click Finish, as shown in the following image. 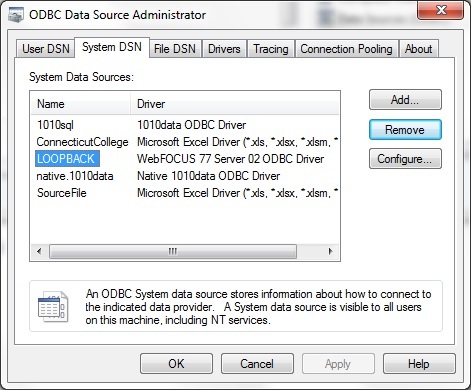 From Windows Control Panel/Administrative Tools, double-click Data Sources (ODBC), as shown in the following image. Click the System DSN tab, and click Add, as shown in the following image. 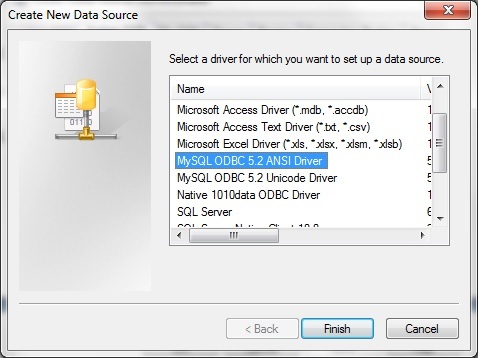 Select either MySQL ODBC 5.2 ANSI Driver or MySQL ODBC 5.2 Unicode Driver, and click Finish, as shown in the following image. 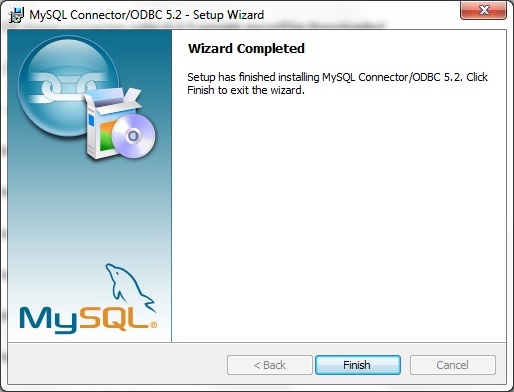 Complete the fields in the MySQL Connector/ODBC Data Source Configuration dialog box, and then click Details, as shown in the following image. 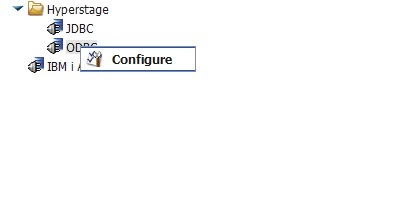 In the Cursors/Results tab, select the Don't cache results of forward-only cursors and Force use of forward-only cursors check boxes, as shown in the following image. Launch the Web Console and click the Adapters tab. Expand Available. 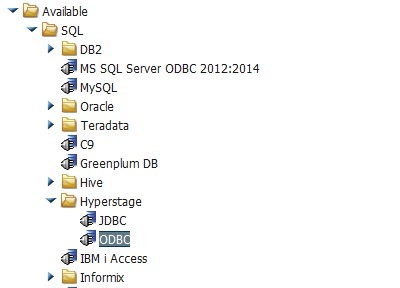 Then expand the SQL and Hyperstage folders, as shown in the following image. 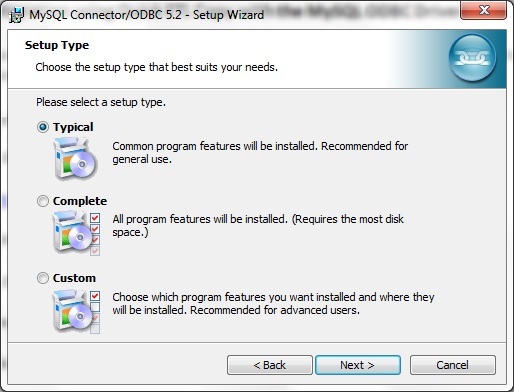 Right-click ODBC, and click Configure, as shown in the following image. 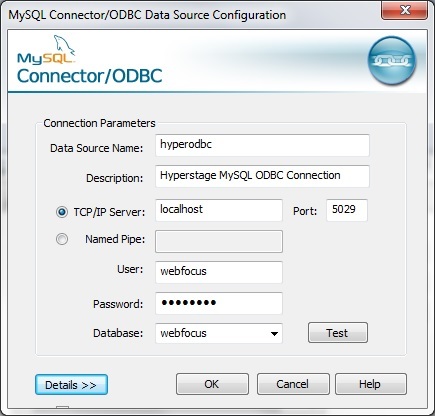 Enter a Connection Name, the Datasource name used when configuring the MySQL ODBC driver, User, and Password, as shown in the following image. 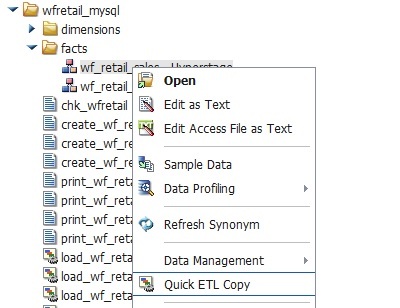 Ensure that the Lite mode for Quick ETL Copy is turned off. 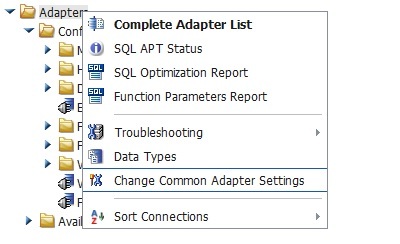 Right-click Adapters and then click Change Common Adapter Settings, as shown in the following image. The Change Settings for Common Adapter window opens. From the LITE-MODE drop-down menu, select No. From the ETL-TRG-DBMS drop-down menu, select blank space, as shown in the following image. Right-click the Hyperstage MySQL Master file for the data to be migrated, and then click Quick ETL Copy, as shown in the following image. 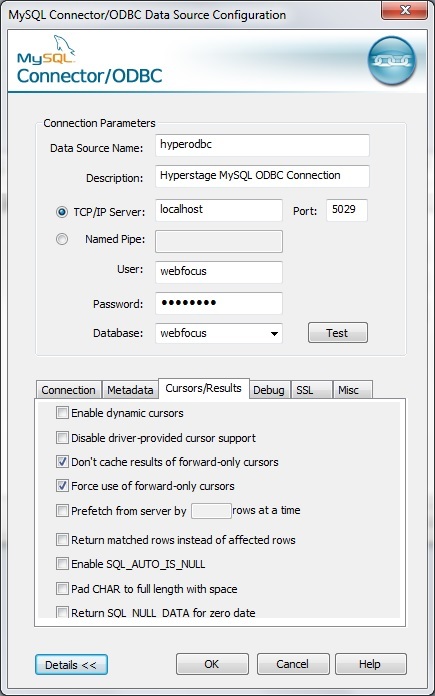 Select a Target Application for the Hyperstage PostgreSQL metadata. From the Target Adapter drop-down menu, select Hyperstage (PG). From the Load Type drop-down menu, select Extended Bulk Load Utility. The following image shows the Quick ETL Copy window with all of the fields completed. In order for the Partition parameters for Quick ETL Copy to appear, the KEYS attribute must be set in the Access File that pertains to the MySQL table.